Your Reactful account must be set to "Live"
2. 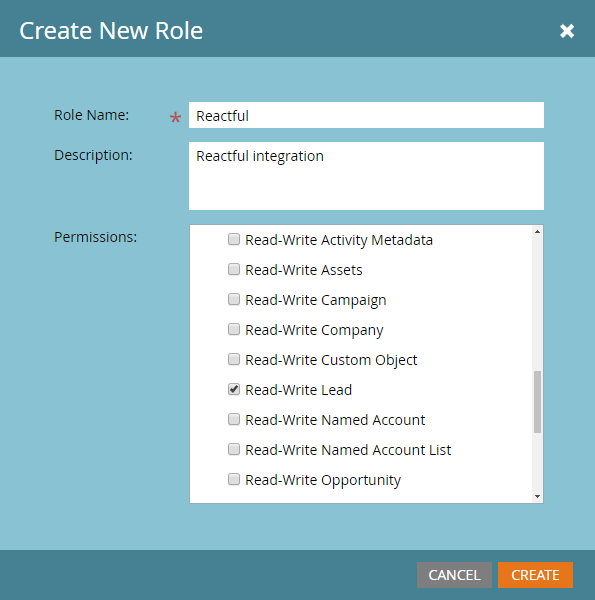 Ensure you have at least one Static List created in Marketo to receive Leads from Reactful. 3. 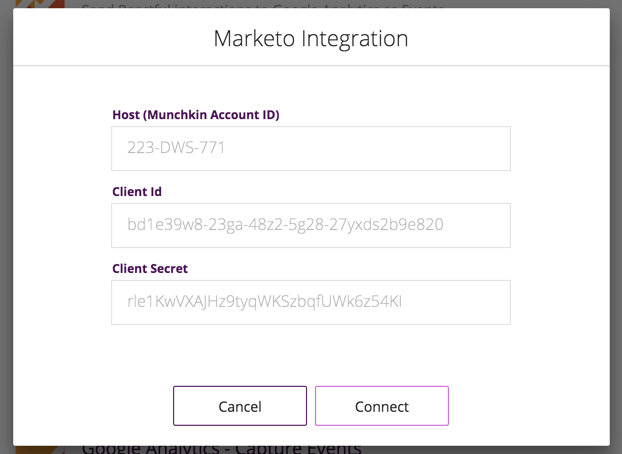 Next, log into your Reactful account and select the desired website to connect with Marketo. From your Dashboard, go to Website Settings > Integrations. How do I select the list for my leads to send to? 4. Once toggled green, another option will appear to 'Select List'. Toggle this option to the right, and a drop down menu will appear for you to select the list(s) from Marketo that you would like to send the leads to. 5. After the list is selected, click 'Continue' and name your goal. The setup is now complete and you can carry on creating a reaction as usual. 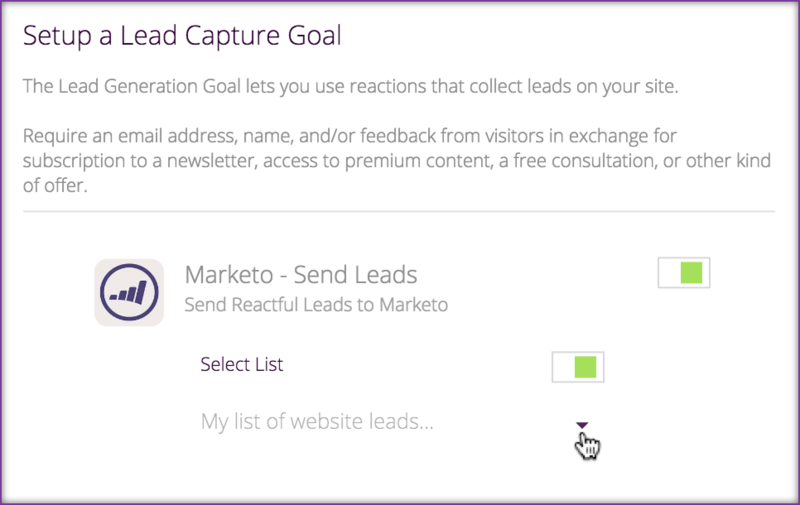 Your new reaction will send all leads it collects to Marketo with 'Reactful' as an automatic lead source. To validate the Marketo integration has been setup successfully, please submit a lead via your live reaction and ensure the lead appears in your assigned Marketo Static List. The new lead should have 'Reactful' as the Lead Source. Please contact Reactful Support via our Support chat if you require any assistance with your integration setup.